Happy weekend, fellow stamp lovers! Julie here today from Muddy Paws & Inky Fingers. 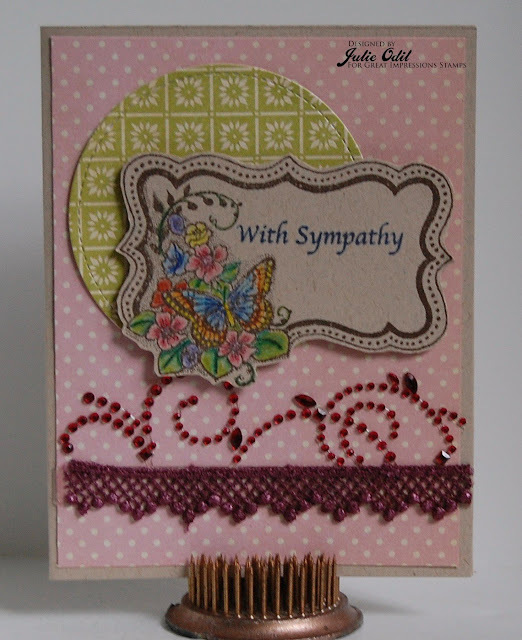 The Butterfly Frame (H226) and the With Sympathy (B206) seemed like a perfect combination. I stamped the H226- Butterfly Frame onto Carta Bella Kraft card stock, then colored it with color pencils. I then fussy cut the frame. Did you join in the Great Impressions Stamps Anything Goes challenge this month? There's another one starting very soon! Don't forget to shop in the Great Impressions Stamps store to find more elegant stamps like those used in today's card. 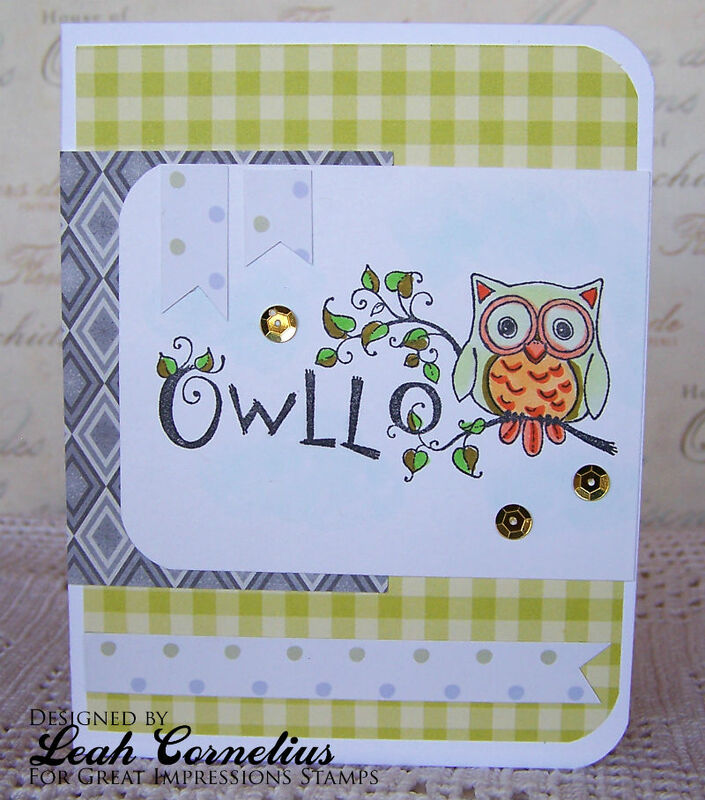 Kendra from Luv 2 Scrap 'n Make Cards to share a past card that I really like and want to show off again!! Being that it's the last week of July, I decided to think "Christmas" to go along with the saying "Christmas in July!" Have you started your Christmas cards? GI has a ton of adorable Christmas stamps to choose from!! 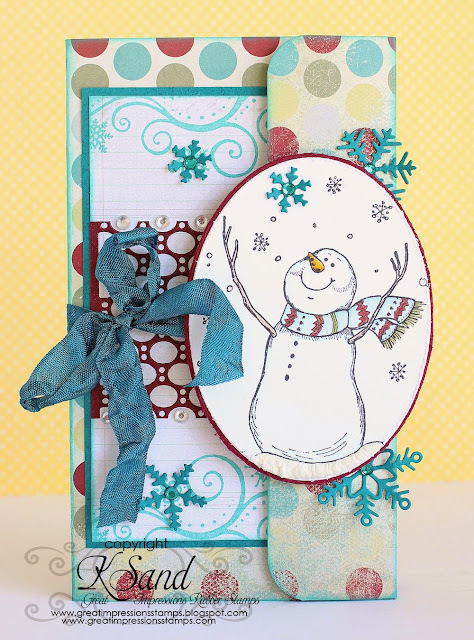 I used the adorable Snowman Fun (H188) stamp for my main image! 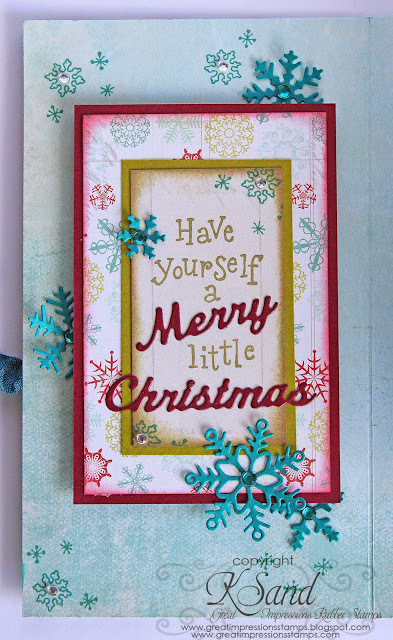 As well as the Snowflake Swirl Background (J105)!! I used both the Have Yourself (E512) and Snowflake Cluster (A71) for the inside! What a beautiful gift package!! Unfortunately, this is my last post with GI for now! Thanks for everything GI! Just need to step back for awhile to focus on our current life projects!! The last week of each month we will be sharing an older card to re-visit those great designs we haven't seen in awhile. Today is one of my very favorites! I used watercolor for my background panel and stamped the pretty (G298) Seeded Danelion images on top. The little seeds are (A118) Blowing Seeds. Good morning! It's the last week of the month so I, and the rest of the Designers, are doing a bit of time-travel. 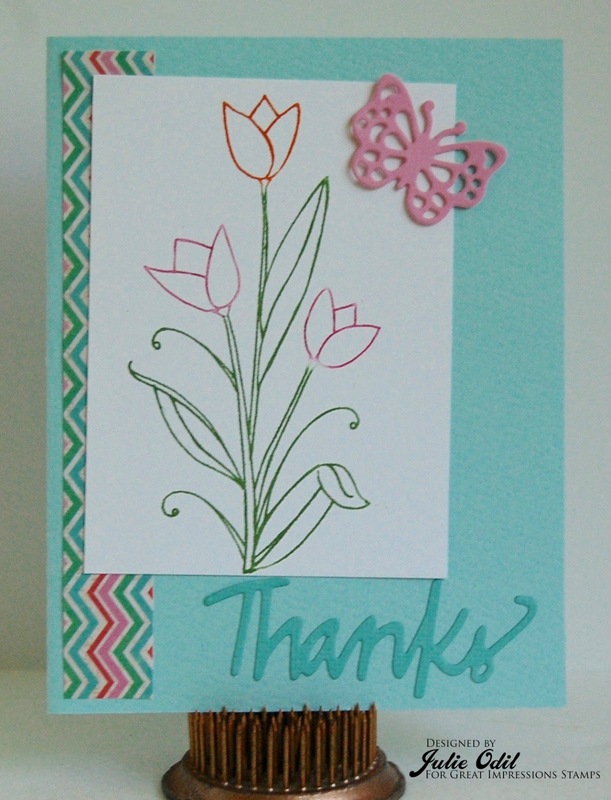 Each of us will be sharing one of our favorite projects that feature Great Impressions Stamps. 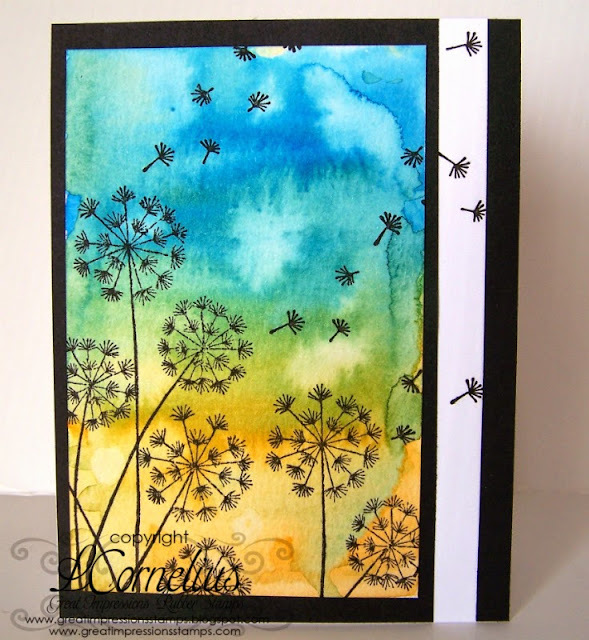 Today's A1 Note Card features the lovely Ocean Dreams (F366) and On My Mind Sentiment (D498). Copic Markers were used to color Ocean Dreams with a bit of distress ink for the sky, and your panel is complete. I chose bright cheerful colors for the background. Come on over and check out our current Great Impressions Challenge, and if you use some Great Impressions stamps make sure you link them up in our Customer Gallery! Hello, and happy Saturday! 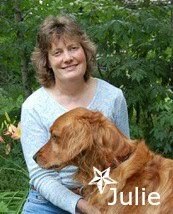 Julie here with today's inspiration. I recently needed to make a dozen thank you cards. I wanted a design I could mass produce that would still look like some time had been put into them. I used distress markers directly on the H251 - Tall Tulips rubber stamp. After huffing a bit of moisture on it, I stamped it on the white paper. 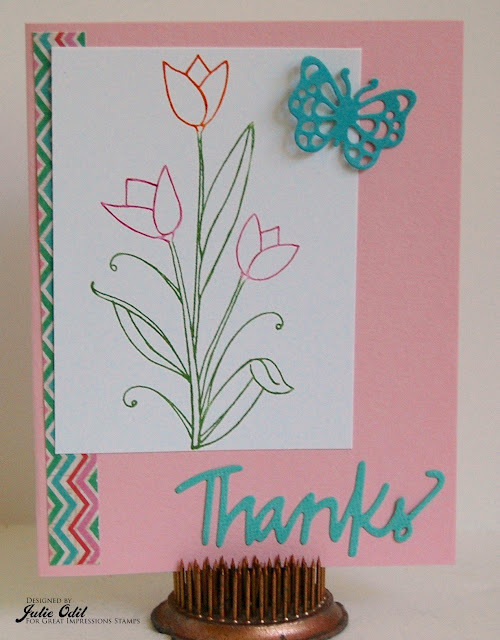 A strip of designer paper and a couple of dies finish off the card. Great Impressions Stamps has an Anything Goes Challenge going on all month. Come join the fun here! 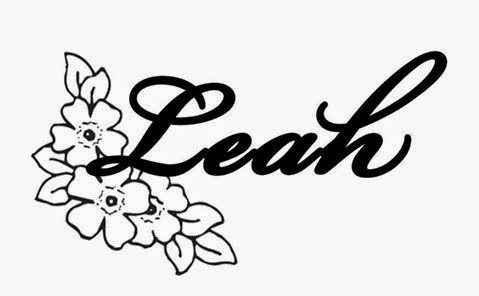 Don't forget to visit the Great Impressions Stamps Store to see the other elegant floral stamps, plus all the other wonderful Great Impressions Stamps. For my card today, I thought I would use the Hanging Flip Flops (E797)! I just love summer, its so nice and relaxing to throw on a pair of flip flops! 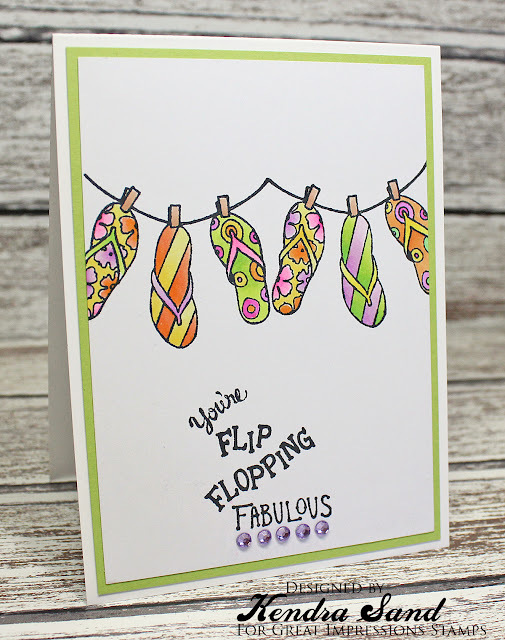 I stamped the fun flip flop image twice, to make it look like they are hanging on a wash line across my card! I colored them in fun bright colors! And finished off my card by adding the super fun Flopping (D520) sentiment!! Hello! 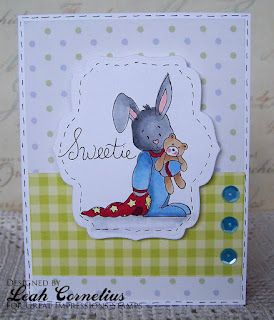 Today I have a cute card to share with you today. I love images that combine an image with a sentiment. 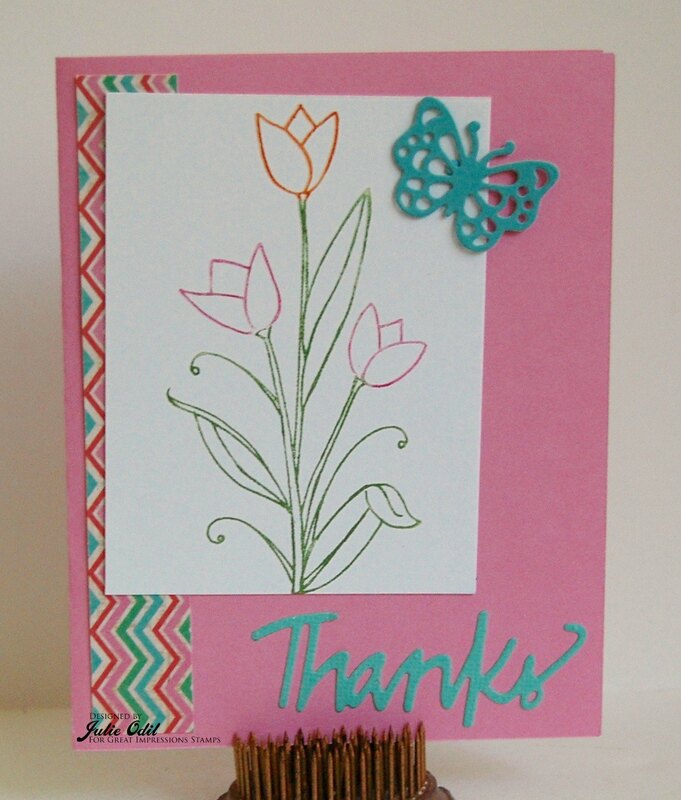 Makes a cute card easy to make! This one is called (G533) Owllo and I colored it with Copic markers. Some patterned papers and sequins and a couple of hand cut banners finish it. Good morning all! Ruza here to share a friendship card that features the Good Friends Sentiment (H180), available at Great Impressions Stamps. 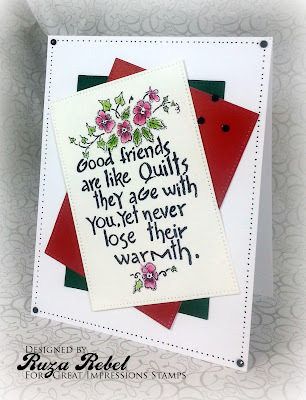 The Good Friends Sentiment was stamped on Watercolor Paper with Ranger Jet Black Archival Ink which I colored my Marvey Markers, pallet, water and paintbrush. Once done, the panel was cut out with a pierced rectangular die. I also used the die on some red and green scraps. All of the panels where crisscrossed and layered on white cardstock. I added black rhinestones to each corner, and then created faux piercing in between the rhinestones. Make sure you you check out, and play along with, this months Great Impressions Challenge ~ Anything Goes. Remember, if you use some Great Impressions stamps make sure you link them up in our Customer Gallery! That is all for me today. I will be back next week with another project featuring some amazing stamps from Great Impressions! Happy Saturday, Great Impressions Stamps fans! Julie here again today with a bit of mid-challenge inspiration for you. 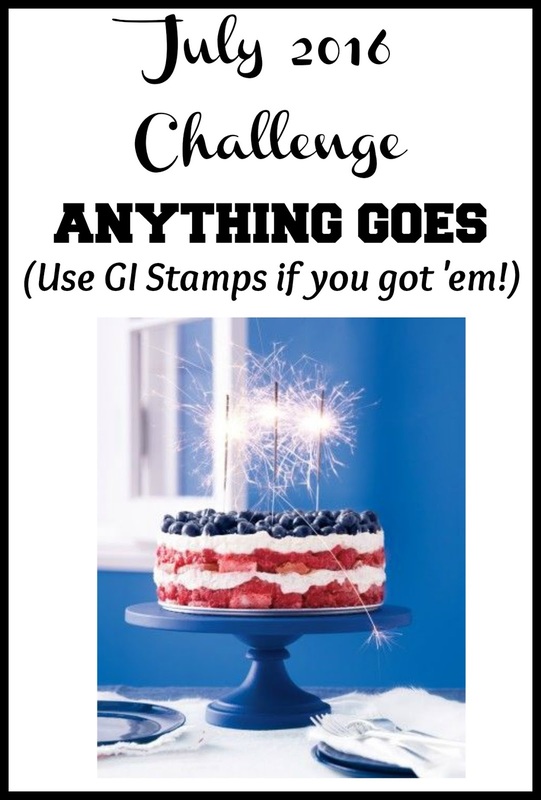 Great Impressions Stamps has an Anything Goes Challenge each month, and the inspiration for it this month is a Patriotic mood board. All that red, white, and blue -- plus, those sparklers, put me in a very patriotic mood! I colored F587 - Harry Blowing Seeds (or in this case, sparklers) with Copic markers. The tag was stamped with blue ink and fussy cut. Don't forget to visit the Great Impressions Stamps Store to see the other fun things Harry is doing, plus all the other wonderful Great Impressions Stamps. 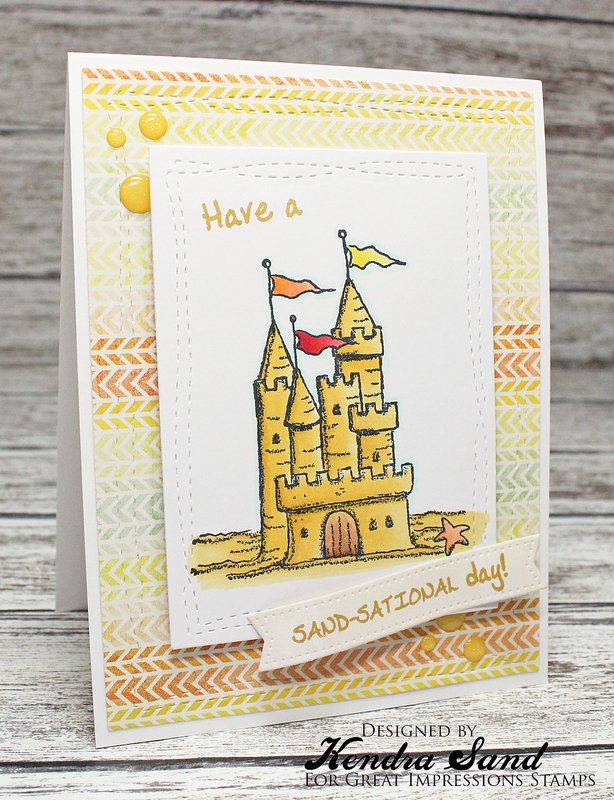 Today I am featuring the Sandscastle (H244) image along with the super fun Sand-Sational (C451) sentiment!! When I seen the two stamps I just had to have them, especially considering my last name is "Sand" I got a little kick out of creating this card!!! 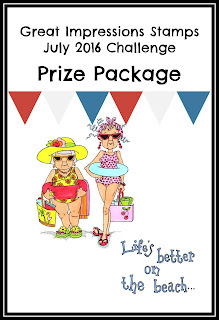 Be sure to join in our monthly challenge, with the theme of Anything Goes! I used the super cute (G460)Bedtime Bunny image and hand wrote the sentiment. I colored my sleepy bunny with Copics. I added some faux stitching and sequins to finish it off. Good morning all! Ruza here to share a card that features the beautiful Rose Trio (G454) and Being You Sentiment (D509), available at Great Impressions Stamps. I love roses, and couldn't resist creating a card that features the beautiful Rose Trio. I stamped the Rose Trio twice on Watercolor Paper with Ranger Jet Black Archival Ink, then colored the roses with my Marvey Markers, pallet, water and paintbrush. 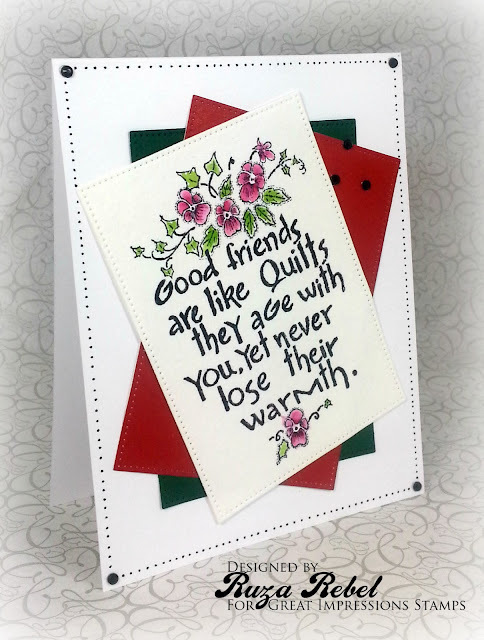 I then added the Being You Sentiment and applied color around the sentiment and roses with distress ink, with the final step I added dots around the flowers, and added my panel to a cream card. 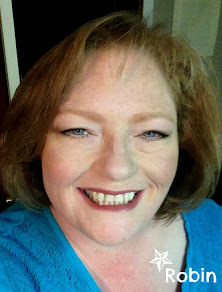 I hope you will check out, and play along with, this months Great Impressions Challenge ~ Anything Goes. Here is the awesome prize that you can win! Remember, if you use some Great Impressions stamps make sure you link them up in our Customer Gallery! That is all for me today. I will be back next week with another project featuring some amazing stamps from Great Impressions! Happy Saturday, fellow stamp lovers! Julie here today from Muddy Paws & Inky Fingers. 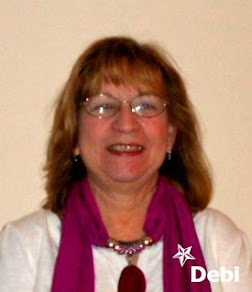 I am happy to be back for another 6 months with Great Impressions Stamps! 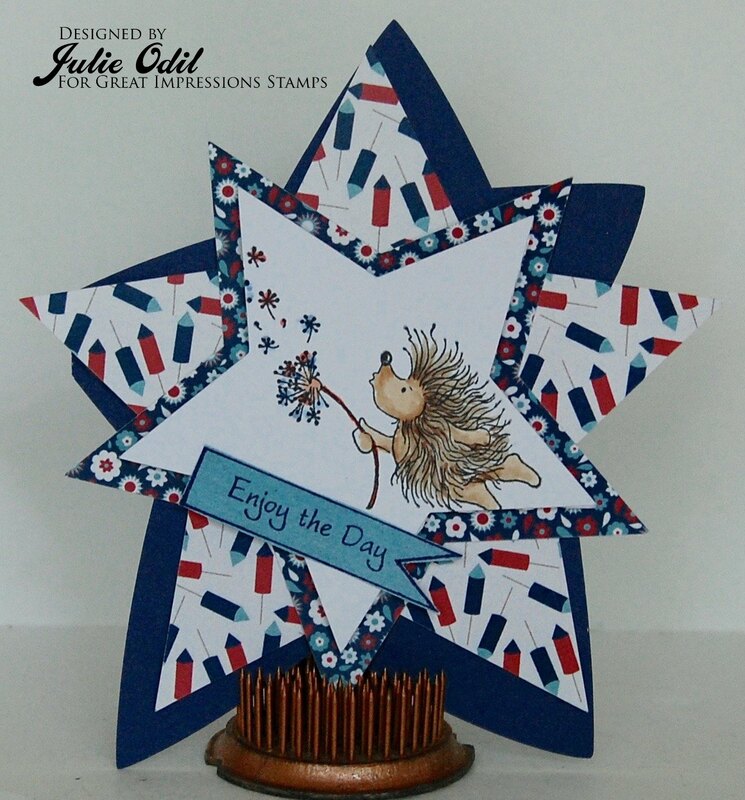 I have a "thing" for Harry, the delightful hedgehog, found in the Great Impressions Stamps Store. Today, he is riding in his own flower filled red wagon. 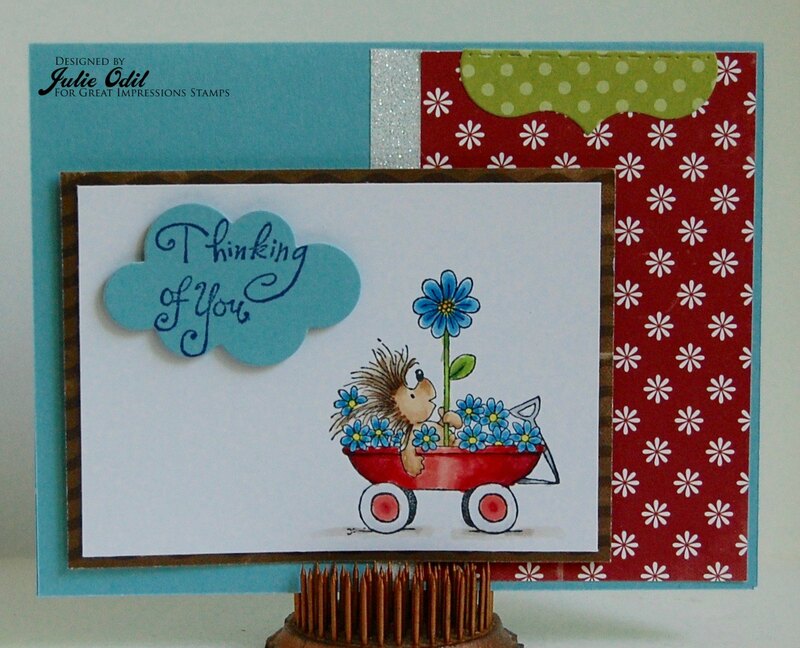 This card uses E875 - Harry with Daisies and B195 Playful Thinking of You. I colored E875 - Harry with Daisies with Copic markers. I cut the playful Thinking of You out with a cloud die to make the card more playful. 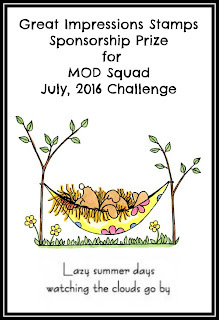 Great Impressions Stamps is sponsoring MOD Squad challenges this week. 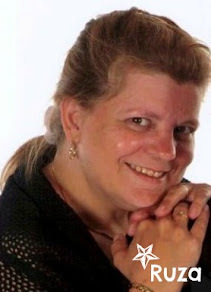 I used this image as inspiration for my card. Come link up, and win some wonderful Great Impressions Stamps for yourself! Kendra from Luv 2 Scrap 'n Make Cards here today to share an adorable card with you!! 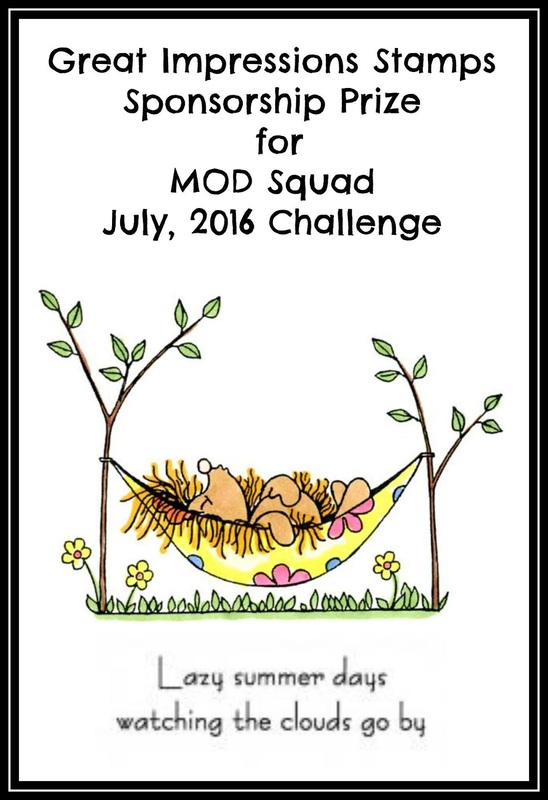 We are currently sponsoring the challenge at MOD Squad! With this theme I knew exactly what image I was going to use! 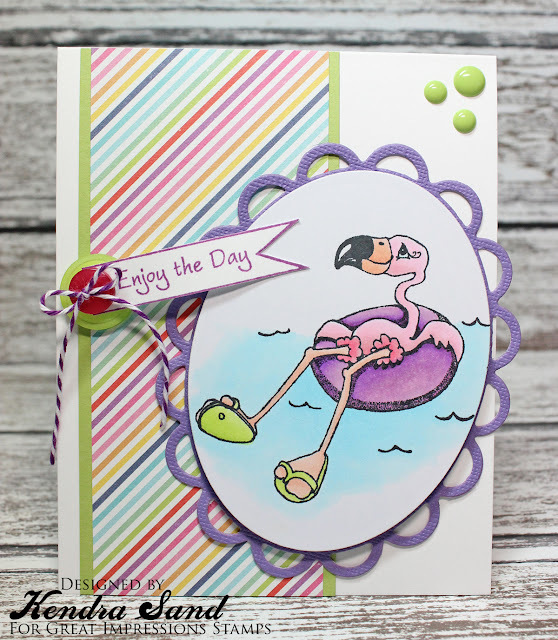 The adorable Floating Flamingo (H287)!! I love this sweet summer image! Makes me want to run out to our pond and relax on a tube!! Love lazy days on the pond with the kids!! I also added the "Enjoy the Day" tag from the Tags (G483) set! Today I have a card for you that goes along with the challenge over on the Mod Squad blog. The theme is Lazy Summer Days. 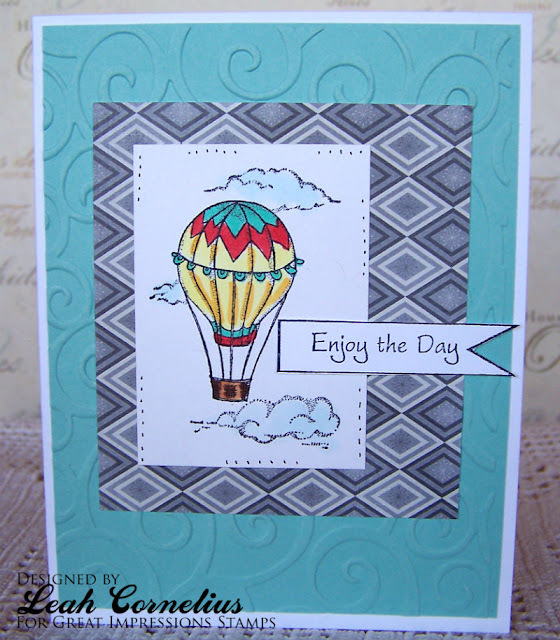 The fun image is called (F549) Hot Air Balloon the sentiment is (G483) Tags. I colored the image with Copics and trimmed out the sentiment. I dry embossed the background and added some dots around the frame for interest. Good morning, and Happy 4th of July to all of our US Followers! Ruza here to share a card that features the adorable Beachy Penguins (F542) and State of Mind Sentiment (D506), available at Great Impressions Stamps. These Beachy Penguins are so adorable I couldn't resist playing with them. I stamped the penguins a couple of times on white cardstock and DP to do a little paper-piecing. The rest was colored with Copic Markers, and Distress Ink was used to create the sky and color in the sand. Circle Nestabilities dies were used to frame the main image of the penguins prior to paper-piecing. Next I popped the cut-out panel onto my background with 3D Foam Tape. After adding the State of Mind Sentiment on the bottom I created the sandy texture with Distress Ink and a dauber. The final step was to add 3D Crystal Lacquer to the glasses. which starts on Wednesday, July 6th. Make you hop on over to check out all of the details. That is all for me today. I will be back next week with another project featuring some amazing stamps from Great Impressions! I hope you will check out, and play along with, this months Great Impressions Challenge. Remember, if you use some Great Impressions stamps make sure you link them up in our Customer Gallery! at greatimpressionsstamps@gmail.com to claim your prize. That is not all! 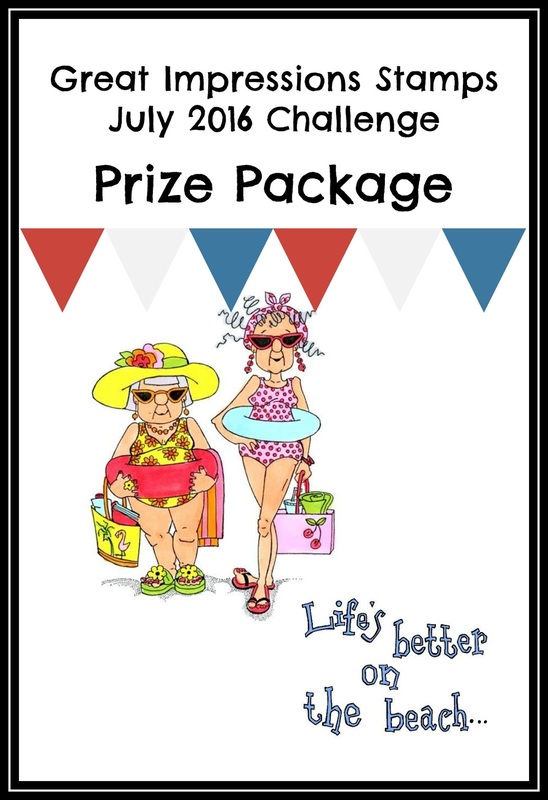 The Winner of the July Challenge will be invited to join Great Impressions Design Team as a Guest Designer for 1-month in the near future. More details will be provided to the Winner at that time. Our Challenge Rules have Changed.